So here is my second attempt at posting this, after yesterdays disaster. I have always been intrigued by felting. 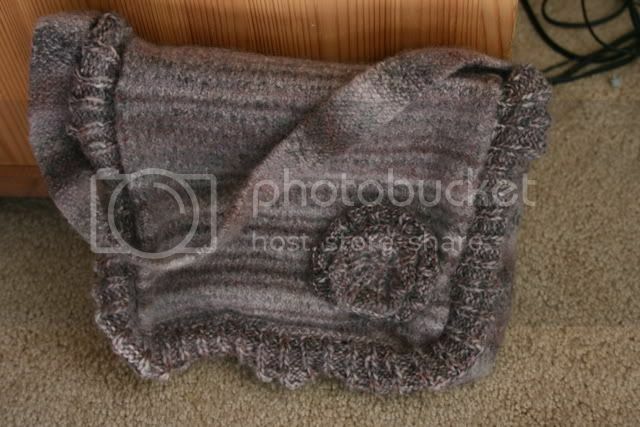 The thought of putting hours of work into knitting something to then throw it in the washing machine and cross your fingers that it will work out terrified me at first. The finished effect, when successful, is very pretty though. I can't even tell you where it is now. 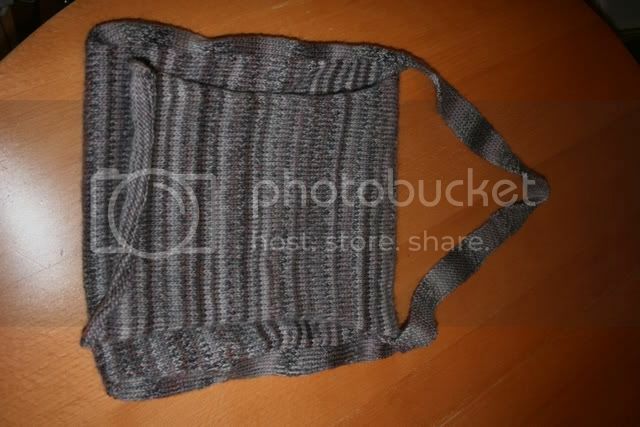 So I was surprised when I found myself drawn towards a felted bag pattern in an issue of Simply Knitting Magazine last summer. Calling for 5 balls of Twilleys Freedom Spirit, I somehow got confused and bought 5 balls of Rowan Felted Tweed, but thought,"Well, its the same DK weight, should be fine". After months I cast on and was really surprised at how quickly it was knitting up, and how little of the wool I was getting through. I consulted the Oracle (Ravelry) to discover the printed instructions were wrong and it should have read Twilleys Freedom Spirit CHUNKY. I had no clue such a yarn even existed. I was at the point where I felt I had gone to far to rip it all back but was reluctant to continue if it was going to be a mess. Something in me decided to keep going so I did, then began to worry that the Felted Tweed wouldn't felt. 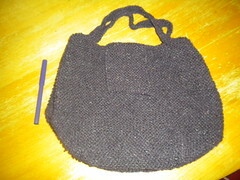 Even searching on Ravelry didn't ease my concern, there were no felted projects using the yarn which I could find. I put it in the machine on a short 40 degree wash. It didn't do much. So then I put it on a 60 degree 60 minute wash. With a pair of jeans in for good measure.